A Licensed Professional Counselor, Lisa Grant-Feeley provides individual, family and couples counseling. Her graduate program – and experience since then – focuses on children and adolescents, and she always considers the family structure as integral in her work. As the parent of three strong-willed adult children, she is aware of the joy and challenges that come with raising family. Lisa provides compassionate support in a space free of judgment to help individuals thrive, and couples and families develop healthy, positive interactions. 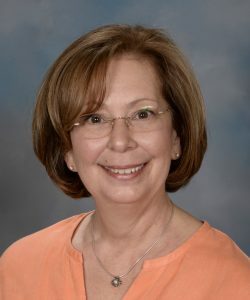 Lisa understands that play is the language children and young adolescents use to best communicate their thoughts and feelings, and as a Licensed Professional Counselor, she utilizes creative and play therapy techniques in order to help her clients feel most comfortable. Lisa works to create a safe space in which her clients can relay distressing experiences openly, actively listening to the needs of each client and working with a targeted plan of action in order to reach a solution. For children who display explosive behaviors, Lisa works on collaborative problem solving with both the parents and the client to support the development of important skills, such a flexibility, problem solving, emotional regulation, frustration tolerance and social functioning. As children with explosive behavior are often lacking in one or more of these shills, Lisa helps guide them through these practices so when they are faced with a situation that they were once not equipped to manage; they have the skills needed for a more expected response. For children with ADHD or ADHD symptoms, Lisa supports the child and family in understanding these behaviors and learning strategies to manage them proactively. Lisa has found that with the flood of exposure in social media, many teens have developed a highly self-critical voice that reduces the ability for high self-esteem. This along with the increased level of competitiveness in academics, sports and extra-curricular activities, can often lead to feelings of anxiety and depression. Learning self-compassion can aid in creating a kinder internal voice. Lisa works with clients to help them find this voice, through identifying and exploring each individual’s strengths and empowering self-acceptance. This serves to reduce the stressful, and at times, all-encompassing feelings of self-doubt. In addition to her focus on strengths and collaborative problem solving, Lisa also utilizes Cognitive Behavioral Therapy. CBT focuses on how we think and what we believe and then helps us gain insight into the impact our thoughts and beliefs have on our feelings and behaviors. By exploring the way in which our past has helped shape our beliefs and attitudes, new, more constructive patterns of thoughts and behaviors can be learned. Mindfulness is often practiced in session and used to support the work of CBT to increase the ability to be present in the moment. This helps to create the internal space needed for all change in thoughts and behavior to occur.